The American National Red Cross is a reputed humanitarian organization, which provides various services related to disaster relief, education and even assistance during emergencies across the state. They are designated to Red Crescent Societies and International Federation of Red Cross. Apart from various relief works, the society also offers immense help in inculcating community services to help the people in need, communication services and several duties to provide comfort to the military personnel and their family members. The society is supported by donations from innumerable communities; income from safety training and health products and even from income from products of blood. 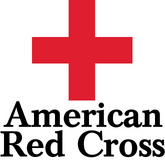 There are currently 1 consumer reviews about The American National Red Cross available. Share your review. i watch tv and see where all these people are gotten places to live when they have had a fire in homes or apartments. do they pay this money back? i was in the military. my grandparents raise my sister broither and myself due to mother passed away and dad no where around. granddad passed away and i asked for a loan for a roundtrip ticket home to attenbd his funeral. this m,oney i would have taken out of my pay until it was paid off. you know something i was refused thius loan. so i missed my granddad funeral due to riding a bus. but i see all these people getting help left and right. all i can say is thanks a lot red cross. Please take a note that you are about to post a public review about The American National Red Cross corporate office on CorporateOffice.com. This review will be public, so please do not post any of your personal information on this website. If you would like to contact the corporate offices of The American National Red Cross, please use their contact information such as their phone number, website, and address listed above to contact them. However, sometimes staff from The American National Red Cross headquarters do read the reviews on this website.